Basics understanding of middleware technology. 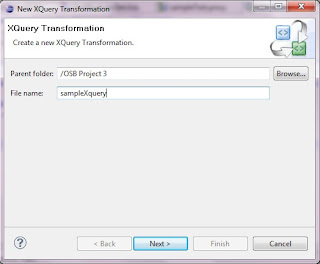 We can use XQuery/XSL in OSB to do the message transformation. 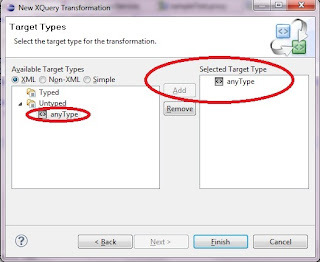 But XQuery is preferred over the XSL because of the performance advantage. 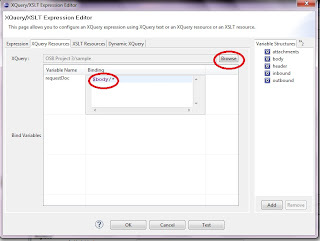 In this post I will show how to develop an xquery using the osb workshop eclipse. 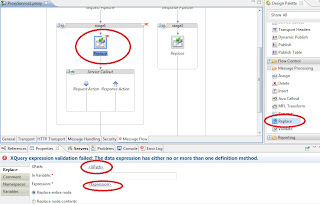 Mentioning the function with which the execution begins. This is the code snippet for the function 'sample' which takes 'requestDoc' which is of type element(*), that is the xml. 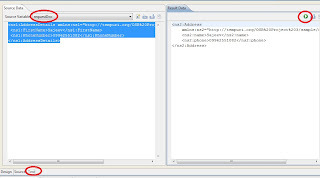 It returns the type element(*) which is also an xml. 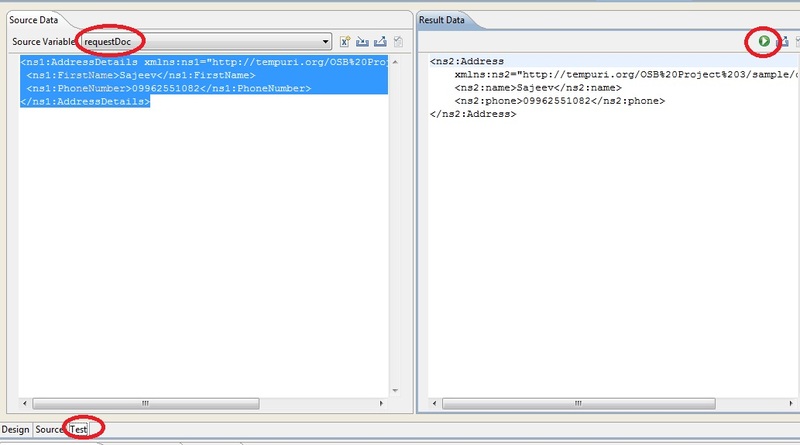 Listing 14 or 19 - Here we are assigning the data obtained from request xml to the output response xml. 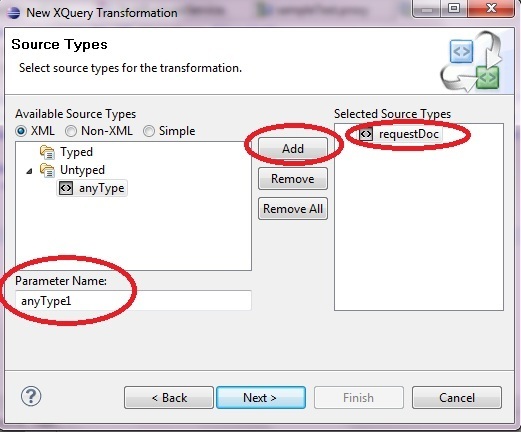 Listing 25 - declaring the request variable 'requestDoc' as 'external' as type 'element(*)'. 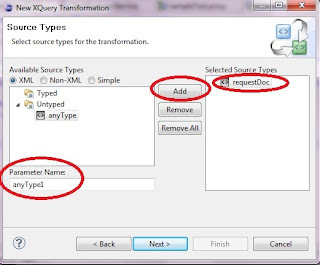 So when we test this xquery from the OSB flow, we will bind the request xml with 'requestDoc' variable and we can transform the request xml to the response xml. 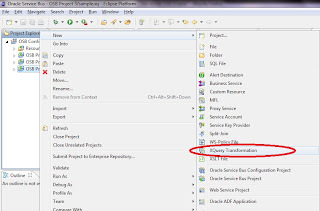 Listing 27 - This is the last line of the xquery where the execution of the xquery begins. 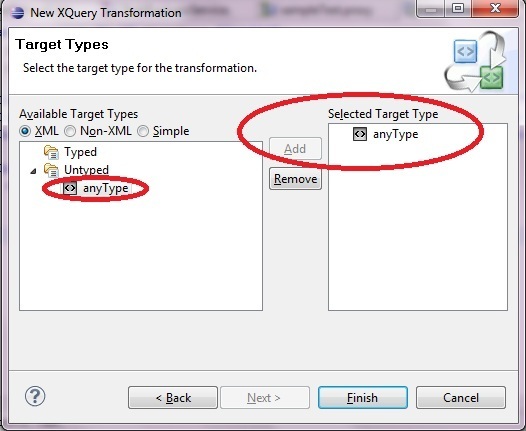 Suppose if we have multiple functions, what ever function is given in the last line of xquery will be the entry point of execution. Now give the request binding variables. Here I have added only one variable. 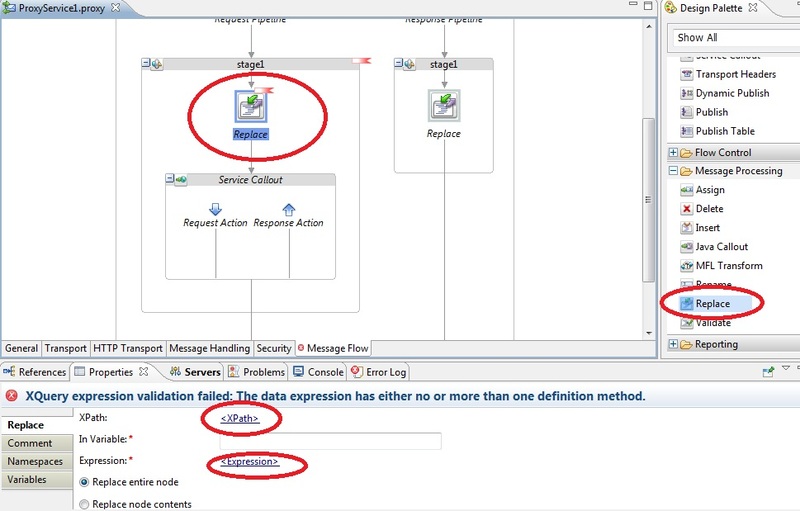 Give the 'Parameter Name' as 'requestDoc' and click on 'Add' so that we can add the request binding variable. 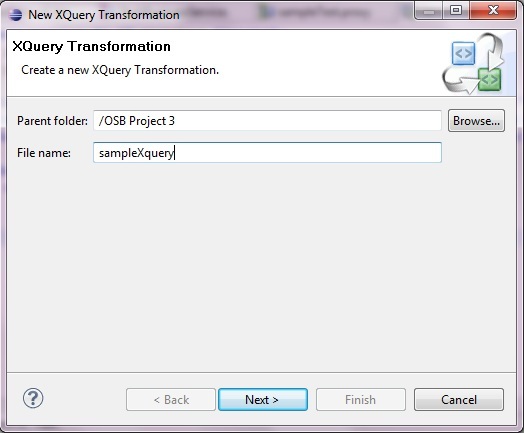 Now we have created the xquery. 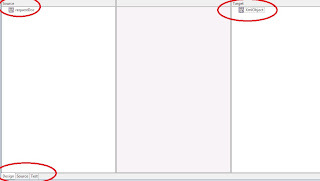 It will be now opened in the osb eclipse editor. The editor has 3 parts. We can use 'Design' part if we have the source and destination schemas. 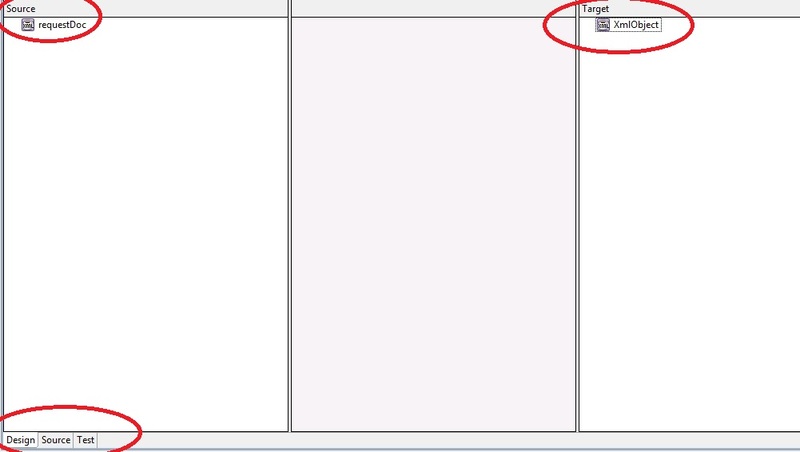 Now click on 'Source' and you can see the xquery source code. 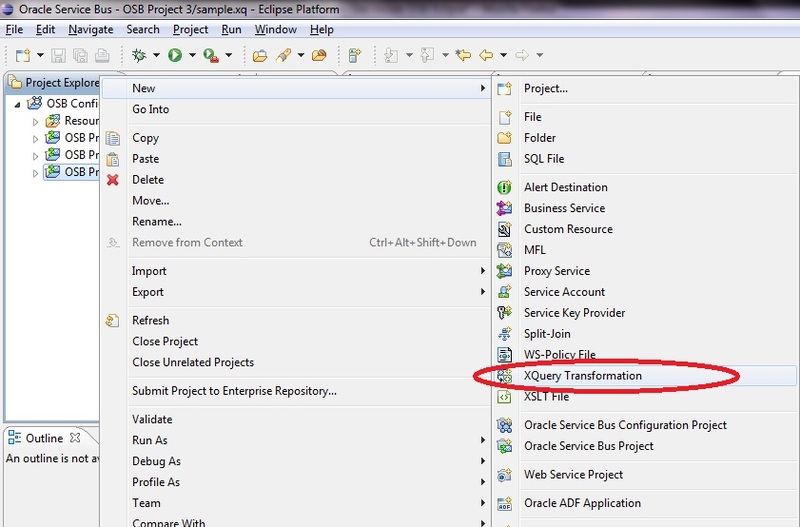 Now we have successfully created an xquery and tested it. and enter $body/* into the 'requestDoc'. Now you can deploy the application and test it. 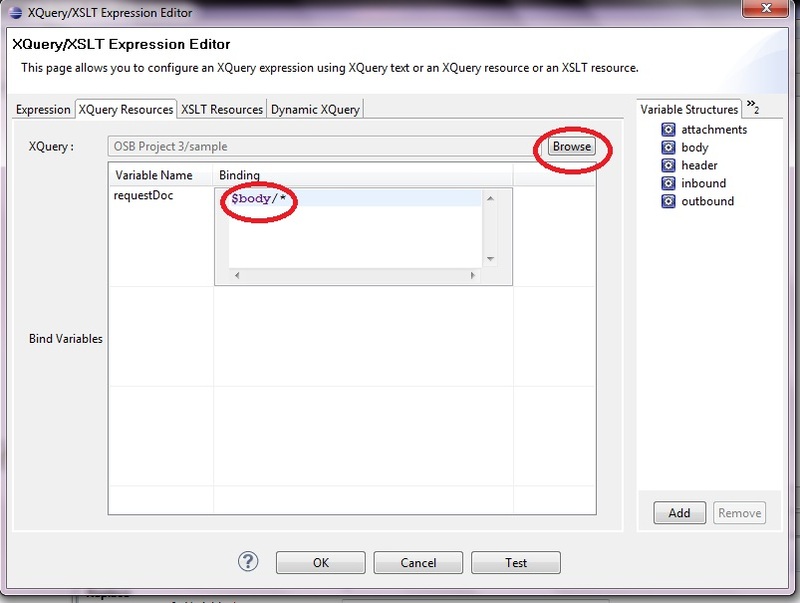 This topic is intended to give an introduction to Xquery development and using the same inside the osb message flow. You can better explore more.